Residential elevators are becoming increasingly popular for today’s homeowners. If your home has multiple stories, an elevator will allow you and your loved ones to easily travel between the different floors of your house. With services from a company that installs new elevators near Salt Lake City , you will be able to design and install a new elevator that improves the overall quality of life for your entire family. 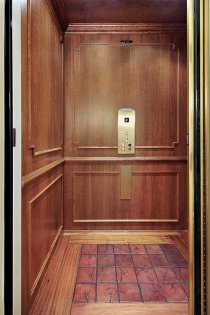 If you are considering a new elevator installation, here is a look at three signs that you could benefit from a residential elevator. Elevators are extremely useful for people who have mobility limitations. Whether you use a wheelchair, or simply find that it is getting more and more difficult to walk up and down flights of stairs every day, you are sure to enjoy the added convenience that an elevator offers for your home. Accessibility elevators are specifically engineered to meet the needs of homeowners who want to make it easier to access every area of their homes. Your home is very large. A large home that contains multiple stories can provide comfort and spaciousness for you and your family members. However, if your home has multiple levels, you may find that you spend a good portion of your day travelling up and down many flights of stairs. A home elevator will make it quick and easy to get from the top floor of your home to the basement with a simple push of a button. You want to improve your property value. Whether you are getting ready to sell your home, or you are simply seeking to make improvements that offer a great return on your investment, installing an elevator is a savvy choice for your house. A new elevator installation will impress prospective buyers, and you may be able to list your house for a higher price after you have completed your new elevator installation. An elevator company can provide you with additional details about the added value that comes with a new elevator installation. Installing a new elevator is a fantastic investment for your commercial or residential property. When you consult with a company that offers elevator services near Salt Lake City, you will find that there are dozens of different elevator styles that are available for your installation. By reading up on the various types of elevators that your elevator contractors have to offer, you will have a better idea of which model will suit your needs. If you will be installing an elevator in a commercial building, you will need to choose between a freight or passenger model. Freight elevators are designed to lift heavy cargo and bulky items from the loading zones of buildings. Passenger elevators, by comparison, are much smaller and are specifically designed for people rather than large objects. 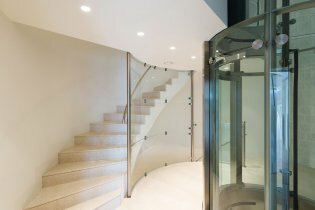 For homeowners, accessibility elevators and lifts are often appropriate choices. For answers to your questions about the many different styles of elevators, schedule a consultation with an elevator installation specialist who serves your local area.